I created The Ring Finders Directory to help the public find a Metal Detecting Specialist to help assist them in finding their lost wedding rings. There are many reasons why people hide their valuables... I have many years of experience in these kind of searches that I will share with members who need my help. One member in Florida, Mr. McInroe received a call to search for gold bars, we spent a few days discussing the search. I helped him the best I could on how to search the estate for hidden treasures and he was successful in finding 90 lbs of Silver coins and a 100 troy ounce silver bar. A total of $20,000 + I flew out to Florida and joined Mike on this search...Very exciting times! While searching for the gold the silver was found, we have our ideas of what happen to the gold, I'll let you read the story that our member Mike McInroe will be writing shortly. Mike was hired by a lawyer to do this search and the money that was found was donated to charity. This website will not only help people find their lost rings, we can also help assist people in finding much, much more! Read Mike McInrow's blog post for the full story. 2011 was a good year for helping the public find what they thought was lost forever and one recovery that stood out was a Huge Diamond ring and a Huge Payout! 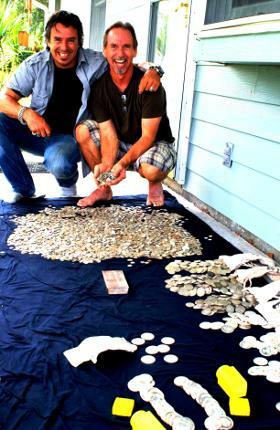 Two members from The Ring Finders Directory Darrin & Marc split a whooping $18,000 for the recovery of a huge diamond ring (4 Karat) that was lost in over 7 feet of water last year. The two divers from The Ring Finders teamed up on this search that took them 9+ hours... The call came from an insurance company, a percentage if the item was found was negotiated before the search. View Darrin's blog post about the search. Ninety-seven percent of The Ring Finders members work on a reward basis, what people can afford and what its worth to them to have their ring found by a experienced treasure hunter/metal detectorist. Lots of us donate a percentage of our reward to charity. If insurance companies contact us we negotiate a percentage if the item is found. The Ring Finders Directory is just 2 years old now with 135 members, 17 countries, and 400 recoveries. I'm very proud of this amazing website and its members who have joined to help people find what they thought was lost forever. The Ring Finders Metal Detecting Service Inc....When you want your lost ring to Find you! Ring Finders Aliso Beach - The Ring Finders member Stan Ross in Aliso Beach - A Laguna Beach Gem Then And Now! Ring Finders Stan Ross - The Ring Finders member Stan Ross in Aliso Beach - A Laguna Beach Gem Then And Now! CEO and Treasure Hunter Chris Turner of The Ring Finders on The Rush… Shaw TV, with Fiona Forbes. Marti Harris didn't realize something was wrong until she went to wash her hands after a camping trip at Lake Tahoe. She instinctively reached to remove her wedding ring and place it in the ceramic ring holder that sits on a counter near the phone. The ring wasn't on her finger. In just days, she and her husband, Charlie, would celebrate their 39th wedding anniversary. "We thought maybe it was in the car, but the more we looked, the more we realized it wasn't here," Harris said. The Folsom couple tore apart the car, searched the sleeping bags and even set up the tent in an effort to find the ring. It could have been anywhere - the campsite, the beach, the lake. Harris, 56, would later recall taking off the ring to apply suntan lotion. Distracted by her playful grandchildren, she got up to leave, not noticing that the ring had fallen into the sand. Their daughter, who had camped with them and stayed a bit longer in Tahoe, combed the beach at Sugar Pine Point State Park before heading home. "She told me 'Mom, I'm really having a hard time - I feel like I can't leave your ring behind," Harris said, her eyes still misting at the memory. Harris has worn it since she was 17 years old. The white gold band that's inscribed with the couple's initials, their wedding date and "MIZPAH," a Hebrew word signifying that "God lies between me and thee while we are apart from the other." Harris had planned to leave the ring to her daughter when she died. "I had it through all my pregnancies, all my grandchildren being born," Harris said. "This ring has been on my finger for all that stuff. I couldn't grasp that I didn't have it. I had to have it." She went online and found Darryl Mansfield, a retired lawyer for the state attorney general's office who has made a hobby of metal-detecting for more than 20 years. 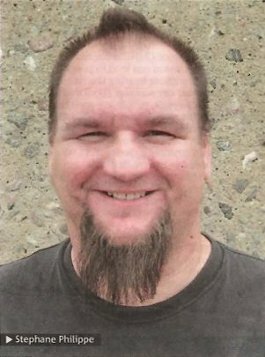 Mansfield, a Sacramento resident, is a member of The Ring Finders Metal Detecting Service Inc., an online directory of metal-detecting specialists. He and other hobbyists have helped people find jewelry and other items throughout the country. Their numbers appear to be growing as the price of gold rises, said Chris Turner, the Vancouver, British Columbia, man who founded Ring Finders. 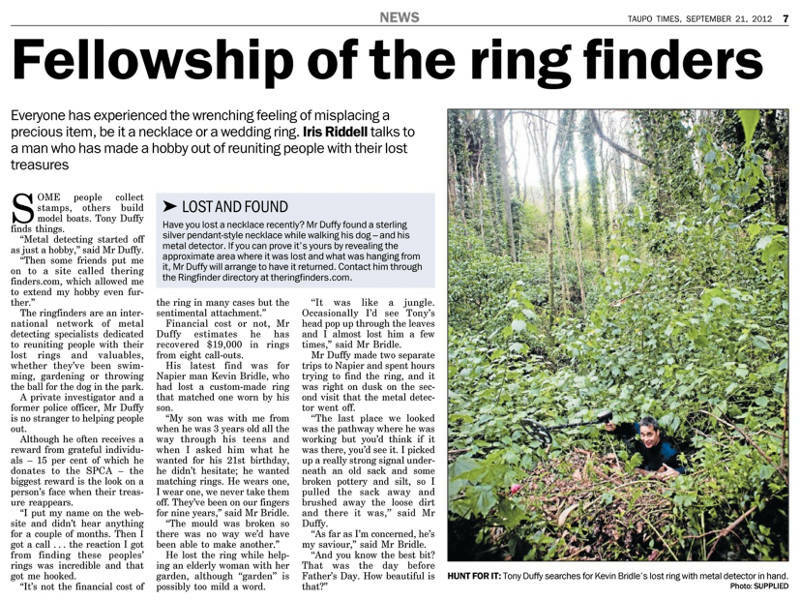 Last week, my colleague, reporter Cathy Locke, wrote about a member of the Sacramento Valley Detecting Buffs who recently found a Sacramento newlywed's wedding ring on a Santa Cruz beach. The day after the Harrises celebrated their bittersweet anniversary at Bidwell Street Bistro in Folsom, Charlie Harris headed back to Lake Tahoe. He searched the beach where they had played with their grandchildren. No ring. Mansfield agreed to go up to Tahoe two days later - Charlie in tow. He didn't want a payment but asked the Harrises to reimburse him for gas. About 45 minutes and a few false alarms after he arrived on the beach, they hit literal pay dirt. "Charlie dug it up, and I saw gleam from the sunlight hitting the white gold ring," Mansfield said. Harris couldn't help but tease his wife a bit when he called with the good news. Detector Finds Lost Ring On Beach - The Ring Finders member Darryl Mansfield featured in KCRA (includes video). 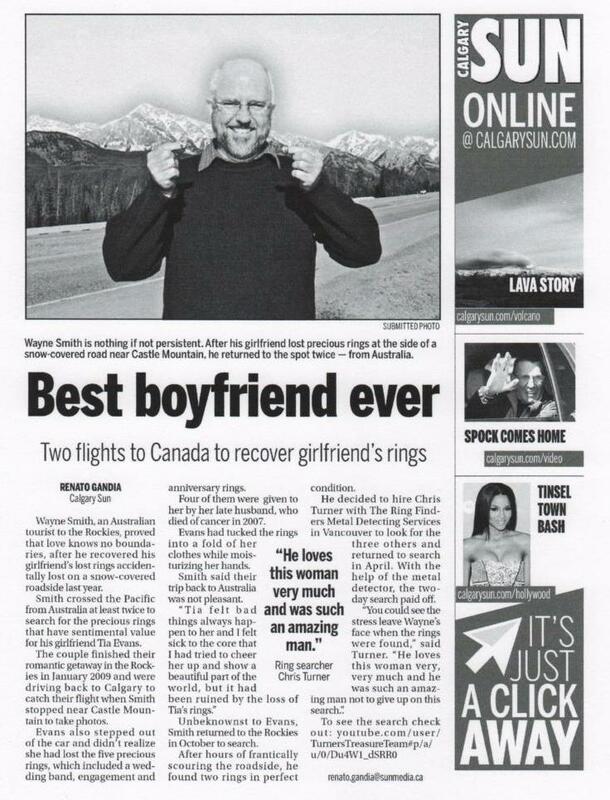 "There's a story attached to a piece of jewelry; and when some-body loses it, they lose the story; too," said Stephane Phillipe, a soft-spoken Cantley resident - one of only six people in Canada and 39 in the world - who works as a ring finder. "I find what they lost and what they love, and give it back to them, to let the story continue." 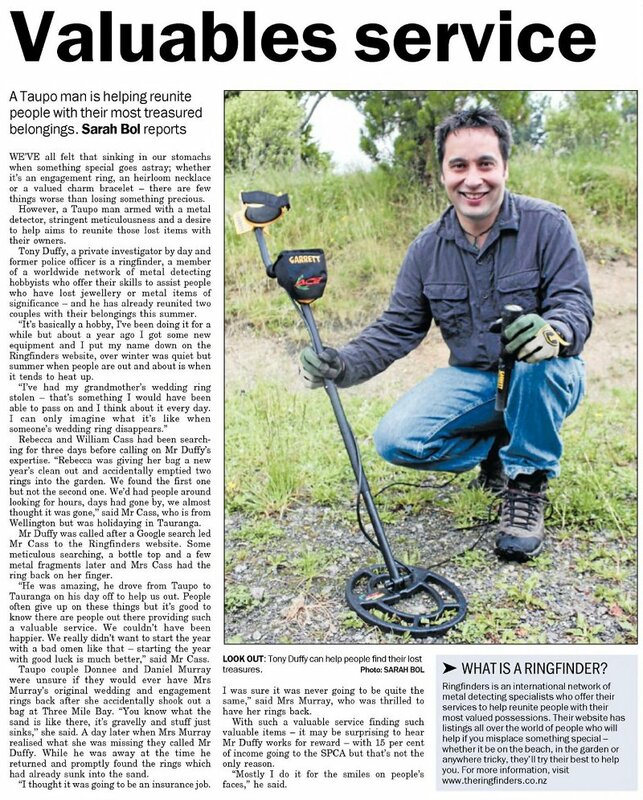 The burly; 39-year-old Phillipe works for "The Ring Finders," a service that began 15 years ago when Vancouver resident Chris Turner decided to turn his passion for metal detecting into a job: find people's jewelry. For Phillipe, ring finding is a hobby and part-time service, rather than a full-time job. In seven years, he's found four rings in six attempts. He charges on a "reward only basis" and asks for a $30 fuel and vehicle expenses fee if a search proves unsuccessful. The best part of ring finding, he said, is not the money; but seeing the reactions of people after they've been reunited with their sentimental treasures. "It's like they've found a daughter they haven't seen for years," said Phillipe, a trained diver who can make his searches on land and under water. "Their faces light up, and some of them start to cry." Along with the other ring finders, he has a blog and profile on "theringfinders.com," on which he posts stories and pictures of his searches. Phillipe's pictures are included in the website's "Book of Smiles," a kind of online scrapbook documenting ring finders' success stories with pictures of people smiling while holding their found jewelry. The book reflects the dignity of ring finders' unwritten moral code. Unlike most metal detectors, the ring finders don't keep the unclaimed treasures they find. Phillipe donates his recovered baubles to CHEO. Sometimes he puts ads in the paper describing the more valuable ones. 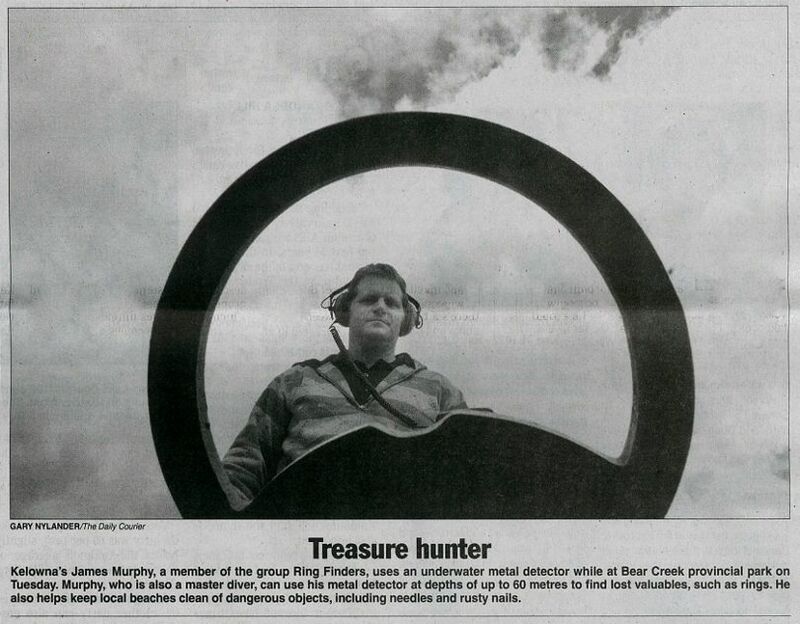 In his free time, he scans children's parks in the Aylmer area to rid them of dangerous metal objects. So far he has searched nearly three-quarters of all the parks and found "razor blades, screws, blades and beer cans which have been shredded and buried in the sand." Phillipe, the only ring finder in the Outaouais, says he has a good chance of finding any ring, no matter how long it's been lost. July 02, 2010 2:30 a.m.
Stephane Philippe (www.theringfinders.com) helps those desperate people try to find lost rings or other pieces of jewelry. I help people find their rings that have been lost in the backyard or the beach or anywhere that they think they lost it. With my (metal detector) I basically find their item. Are you making a living at this? No, this is purely just a hobby, just a passion. I like helping people out. When people lose something, especially a ring, there's a story attached to it. What I do is I make that story continue by finding the ring or the chain or the bracelet. You work on a reward basis. How does that work? It's the same way as you would put an ad in a newspaper or on the Internet. if you lose a ring or a wallet, you would offer a reward. I go to collect the reward and I take 15 per cent of the reward and give it to charity. Nice. Do you have a favourite charity? CHEO. A friend of mine, her son is autistic, so he's been to CHEO quite often, and it's something I really care about. Ever lose your car keys? Was the metal detector any help? No, it wasn't (laughs). I actually lost them at the shopping centre and, unfortunately, the machine didn't help at all, but I've helped people find their car keys and all kinds of stuff like that. As long as it's metallic, I'll be able to find it. My success rate is over 95 per cent. Tony Shere makes blokes break down and cry. Tony - The Ring Finder - is a regular at Cottesloe Beach and hits the sand to save people from feeling guilty. Using his metal detector, he looks for weddlng rings, gold and jewellery. "I've been dong this for abcut 10 years," he said "I go out whenever I can as the relaxation factor is what it's all about, really." Summer is a busy time, and Tony expects to get a lot of calls from beachgoers with tales of woe. "Lost wedding and engagement rings; can be replaced but it's never the original," he said. "Some rings are family heirlooms. I have found wedding rings that had been handed down from grandparents. "An engagement ring I found recently was made by friends from melting down the gold from two family rings. The loss of these sorts of rings weighs heavily on the conscience of many people and the guilt factor is enormous. I've had large grown men break down in tears when I find them." To his disappointment Tony doesn't find everything. In February he got a call abcut a lost wedding ring at North Cottesloe. "I headed straight down that evening to search the dry beach but unfortunately the ring didn't turn up in my scoop," he said. "I told the owner I would hit the water at 5am the following morning. "It was a perfect summer morning for hunting, not a soul in sight and only the sounds of gentle waves and annoyed seagulls that I had disturbed from their peaceful beach." But seven hours later, no ring. 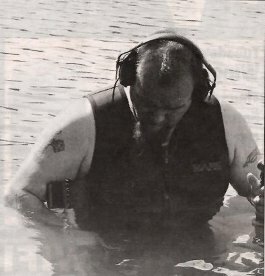 Instead, he had found more than $40 in Australian coins, lots of ring tabs, two broken mobile phones and sunglasses. "I don't give up easily but I had to admit defeat, which is something I really hate," be said. "I had covered the area really well and from different directions but this ring just wouldn't get under my coil." 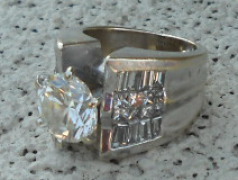 The ring - white gold and sliver - had been on the man's finger for only four months. "It seemed it was one size too big - a hard lesson to learn after wearing it into the water for the first time," Tony said. The owner was worried the hours of searching would cost him too much. But he need not have worried. "I told him there was nothing to pay unless the ring was found." Tony said. "I ask for a reward only if the item is found. "Equipment and maintenance of my gear is expensive: these rewards help me keep this service going." Call Tony on 0402 104 425. Radio Interview with The Ring Finders member and CEO Chris Turner on News 1130. Visit The Ring Finders Blog to view more posts.